This chapter provides an overview of key international legal instruments associated with protection of plant varieties (TRIPs, UPOV, ITPGRFA and CBD). It highlights the current debate in the international arena relating to plant varieties and why it falls short of addressing a key concern, namely, finding means of promoting ‘sustainable innovations’ in plant varieties. 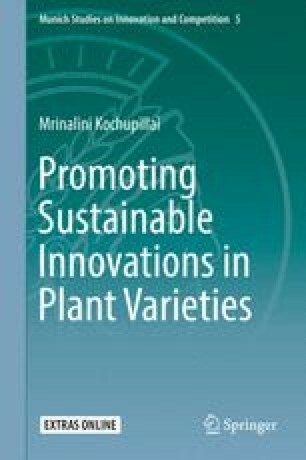 The chapter defines the term ‘sustainable innovations’ as used in this book and explains the reasons why this definition is appropriate in the light of the goals of innovations in the arena of plant varieties. It also explains why the book focusses on plant variety protection in developing countries, with a specific focus on pulses crops.